Unfortunately, there are too few true leaders in this world. Authentic leaders, not just people assigned to leadership roles, possess a number of unique qualities. They are visionary, charismatic, introspective, compassionate, decisive, and above all, inspiring. They tend to be self-aware and curious. They care about people and enjoy lifelong learning. And often, they embody the brand's values and are the most passionate advocates of its cause. They are the true believers and the brand's standard bearers. They have stamina, take risks and are resilient. 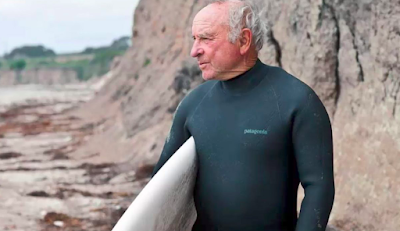 Patagonia's Yvon Chouinard, Tesla's Elon Musk, and someone I had the good fortune of knowing, The Nature Conservancy's John Sawhill all fit that description. They speak about the brand as if it was a cause. They get people excited about achieving the brand's mission. They get people to embrace and internalize its vision. And they encourage others to join them in becoming true believers. Administrators keep things running. They make sure everything is operating effectively and efficiently. They meet their numbers and make sure all of the financial ratios are met. If you only hear a CEO taking about revenues, profit margins and other metrics, it is quite possible that he or she is not that visionary, inspirational leader. That does not mean that true leaders do not pay attention to the numbers - they have to - but they are motivated beyond that, by the mission and vision of the brand. And they find a way to achieve those while pursuing a sustainable business model. If you love decorating cakes or cupcakes, imagine getting paid to do what you love! You can when you start a cake decorating business or cupcake business. Jennifer James, author of the FabJob Guide to Become a Cake Decorator, says there are many baked comfort food when you become a professional cake decorator and start a cake decorating business (also known as a cake design business) or cupcake business. The common concept of a baked recipes is that it is a place where one can buy freshly baked creations all year long. There are bakeries that produce cookies, breads and pastries on a large-scale basis while there are also small-time players that create specialized creations designed to cater for a specific group of people.